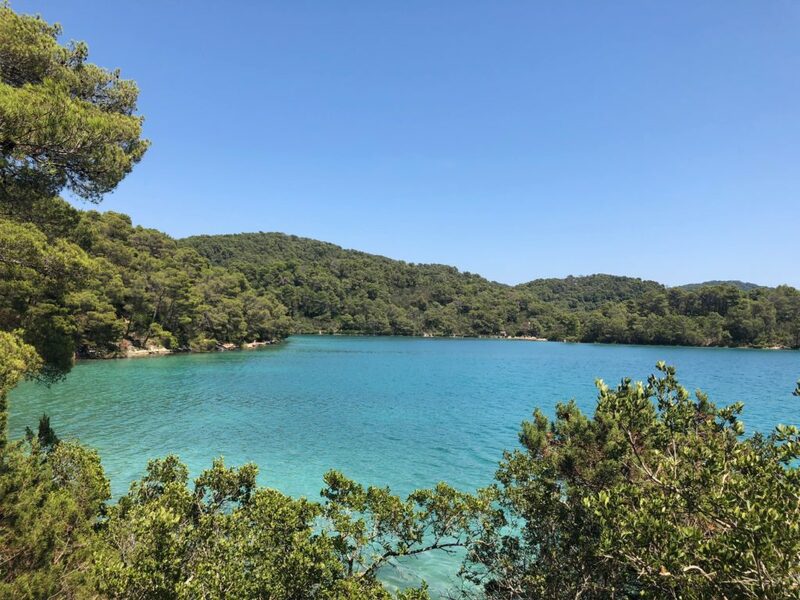 Our day trip from Dubrovnik to Mljet National Park on Mljet Island was one of the highlights of my trip to Croatia. 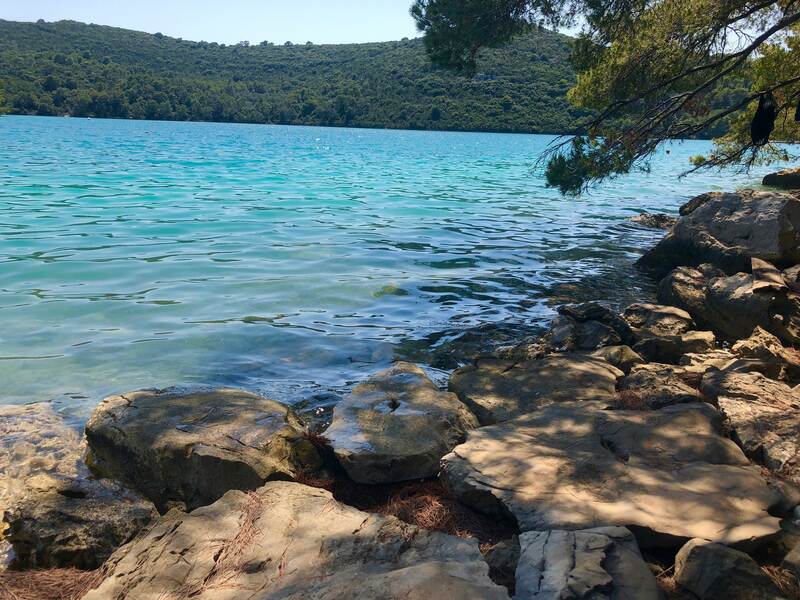 The water in this area is ideal for swimming and a stunning color, ranging in gem-like green and blue hues. 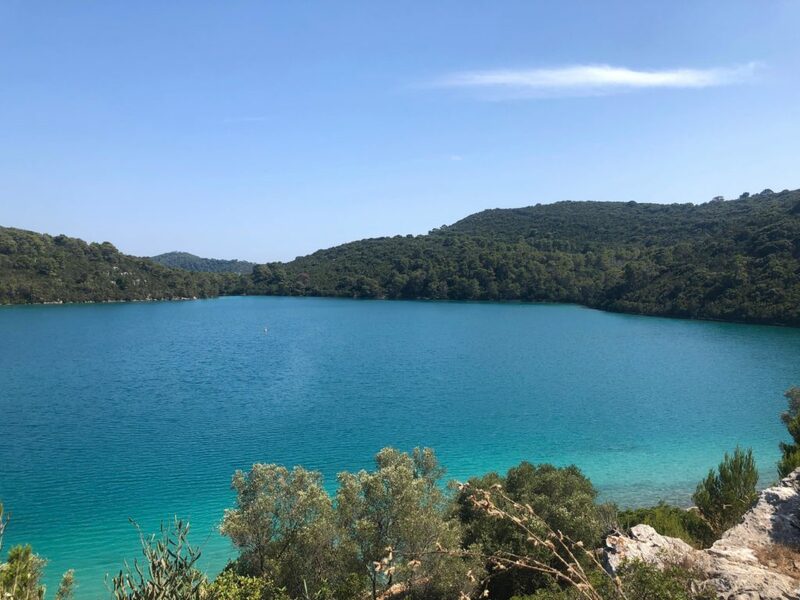 Mljet National Park is well-known for its two saltwater lakes: Malo Jezero (Little Lake) and Veliko Jezero (Big Lake). 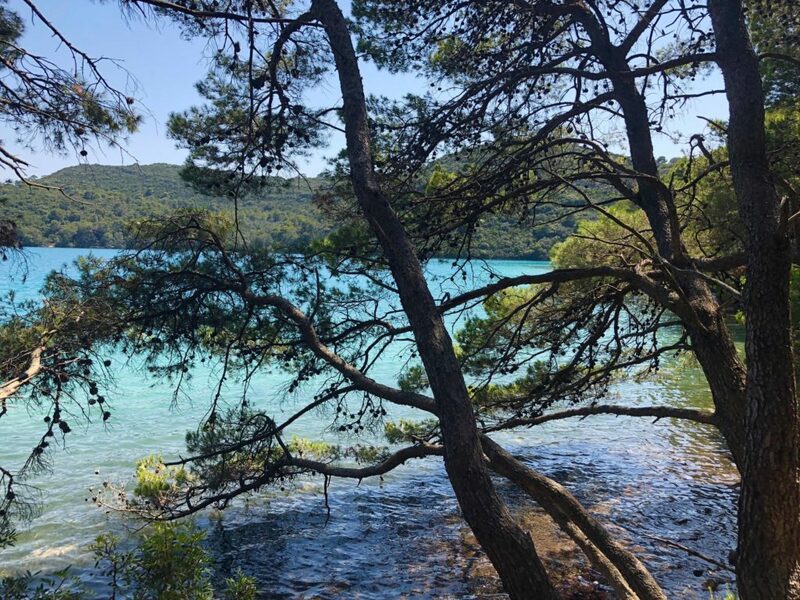 My favorite part of the park was Malo Jezero: this place brought my Croatian fantasies of gorgeous natural landscapes to life. 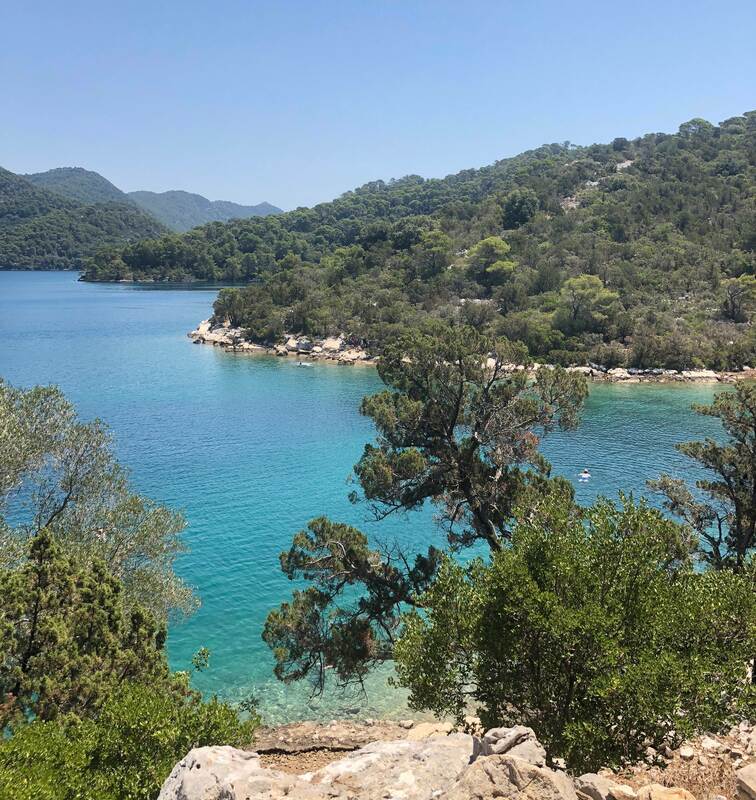 Below I breakdown details about how to get to Mljet National Park as well as what to do there. 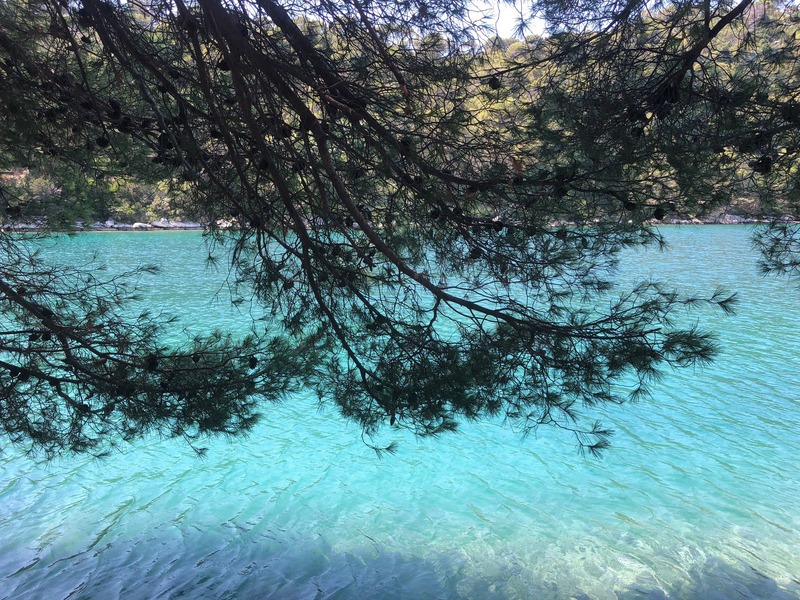 You can access Mljet National Park from two ports/towns on Mljet Island: Pomena or Polače. We took a boat on the G&V line from Dubrovnik to Polače. You can also check out Kapetan Luka boat schedules to get to Pomena, ideally if coming from Split. See some more details about this and other boat transportation in my post for planning a trip to Croatia. If arriving to Polače, you can buy a ticket to the park at the ticket office. When I was there, I saw helpful staff explaining how to get around the park and what to do (I didn’t speak to the staff because I was with a tour, but it seemed like the staff were really helpful for those people who were not on an organized tour). From Polače, your ticket includes a van transfer to the park. 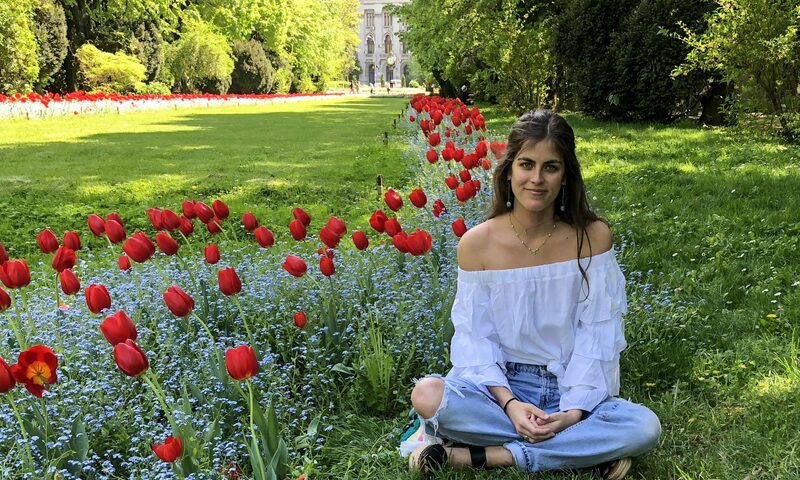 Although I did not go to the Pomena entrance, it seems to be a pleasant and relatively short walk from Pomena to the park. St. Mary’s Island. 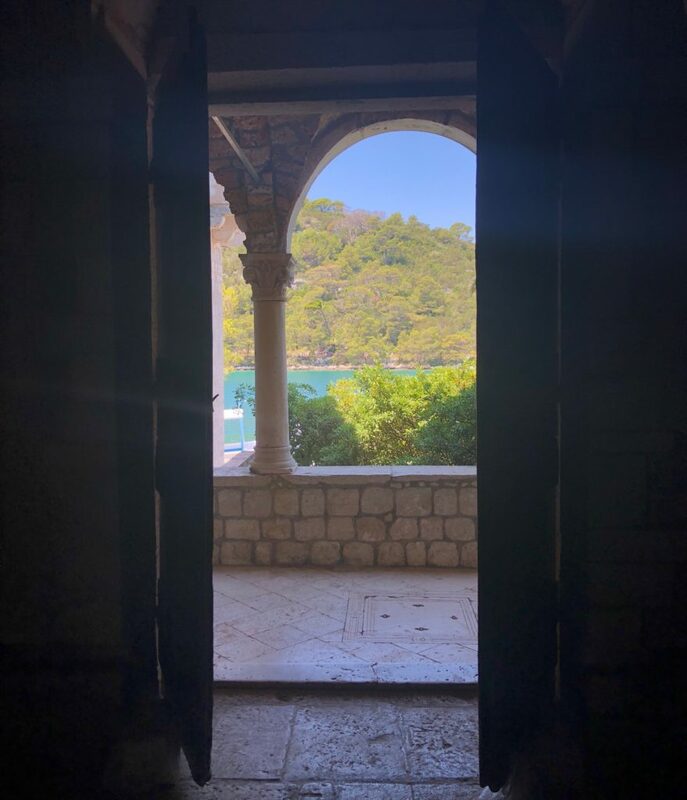 The Benedictine monastery on St. Mary’s Island on the big lake is an oft-photographed spot in Mljet National Park. Although this was not the highlight of the visit for me, I did find this island pleasant. You can easily see the monastery and the small island rather quickly, leaving time to swim or enjoy a delicious lunch of mussels buzara like we did. To get to this island, you can take a boat on the big lake. The pickup point for the boat is along the lake right across from the island – you can see the monastery in the distance. If coming from Polače, the van should drop you off at this boat pickup area. If coming from Pomena, you should be able to walk to the area where the boat picks you up. Malo Jezero, aka Little Lake. As I said before, this was the best part of our visit: we were enamored of this lake. Upon arriving to the lake, you’ll see a swimming spot near the entrance where most people hang out. We walked past this spot until we found our own little nook for swimming, which was tranquil and beautiful. The water was an incredible color and the perfect temperature for swimming. 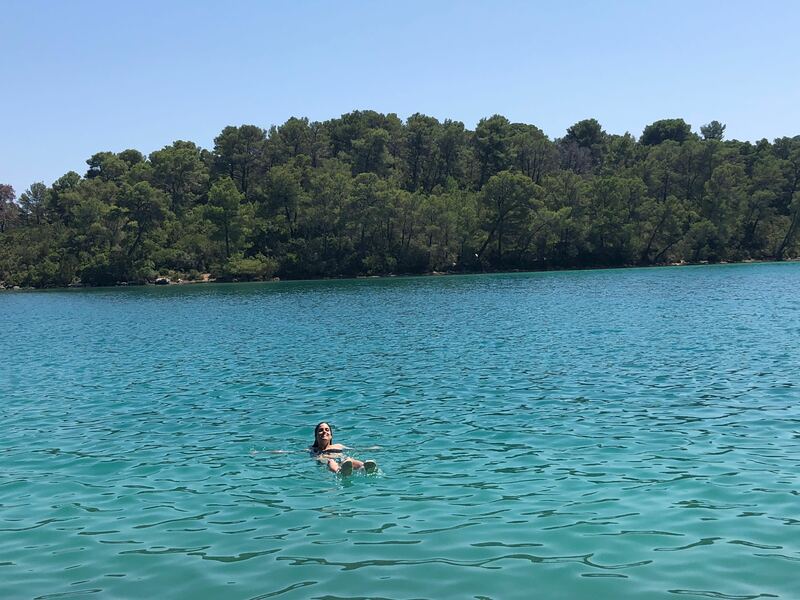 Especially compared to busy and touristy Dubrovnik, our time swimming in the little lake was the perfect breath of fresh air – literally and figuratively. After swimming for a bit, I walked on the trail around the little lake. Just when I thought it couldn’t get better after that swim, it did. 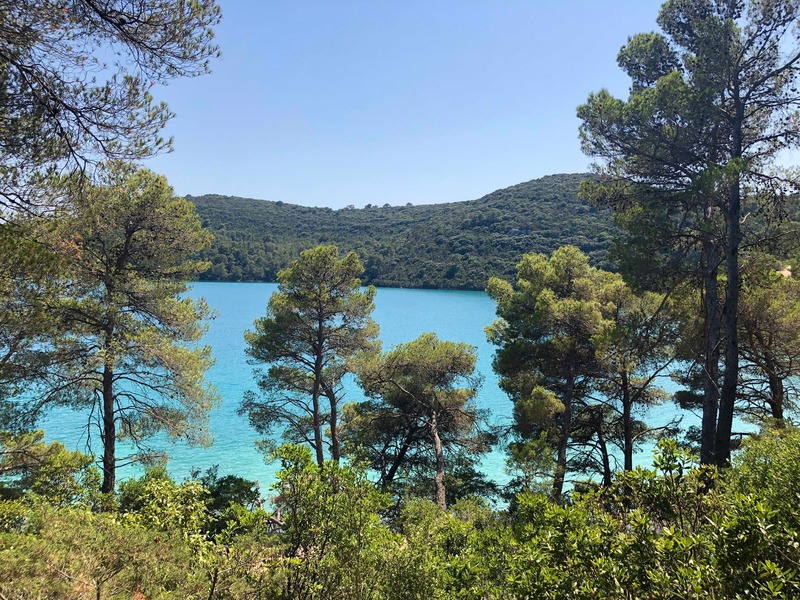 All your senses are stimulated on this trail by the fragrant smell of the pine trees, the sights of the blue-green water set against the lush hills, the sound of crickets, and the feeling of the perfectly warm sun on your skin. (Pro tip: Beware of spiderwebs hanging overhead!) I wish I had more time to walk the entire trail around the lake! To get to the Little Lake, you can either take a boat from St. Mary’s Island or walk from where the van drops you off from Polače. This is what you come to Croatia for! To leave the park, do the reverse of what you did to get there. If leaving from Polače, make sure to ask about the times that the van comes to pick you up from the park so that you don’t miss the last one (and don’t miss your boat out as a result). 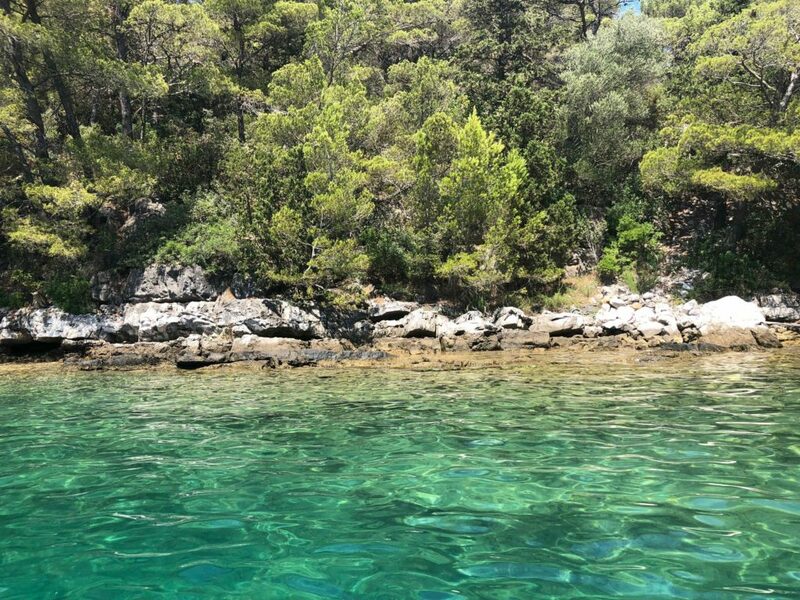 Enjoy your visit to Mljet National Park!